G2 Esports are off to the races for the 2019 debut season of the League of Legends European Championship (LEC) with a very intimidating 2-0 start. Alongside Misfits Gaming, G2 hold onto first place after the initial week as one of the most dominating teams in the region. Both games they’ve played so far against Origen and Schalke have been complete and utter curbstomps, with the opposing team in both cases being leagues behind them in gold, kills, and everything else. In today’s game against Schalke, mid laner Rasmus “Caps” Winther and bot lane Luka “Perkz” Perković were apparently feeling very laid back, because they decided to have a little fun with a blue buff that was spawning toward the end of the game. Perkz was playing bot lane Zoe and Caps was on Jayce, so both players could make a lot of use out of a blue buff. To decide who got it, they played rock, paper, scissors in the middle of the game. The beautiful moment was caught on camera in Perkz’s point-of-view stream on Riot’s secondary esports broadcast. 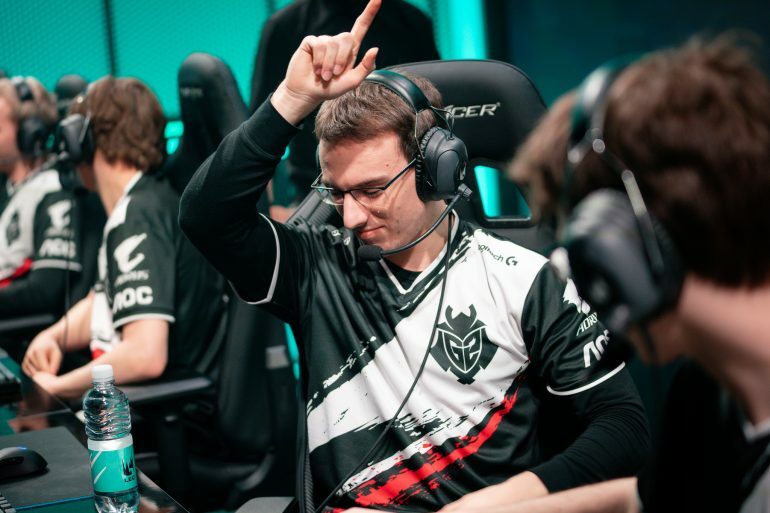 In an interview at the end of day one’s matches, Perkz hinted that strange picks akin to Zoe bot lane would be normal on this new G2 roster. He called himself the AP or AD of the bot lane, and made an important note to clarify that he wasn’t going to be a traditional marksman or bot lane ADC player. As long as G2 keep playing like this, we’re not sure it matters what champions he locks in. Week two of the LEC kicks off next Friday, where Perkz, Caps, and the rest of G2 will attempt to hold on to their record.